Now that you know a little bit more about what we do, here are ways that YOU can get involved as well. 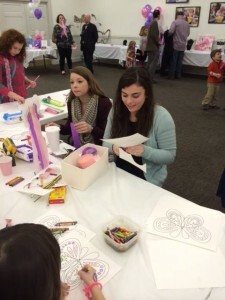 ​We have ongoing and one-time volunteer opportunities for helpers of all ages and abilities. We love volunteers who can help at our events. Volunteers can help with setup, cleanup, selling tickets, passing out CJSTUF information, and MORE. Contact our Managing Director to find out how to get involved in any of our upcoming events. Participate in our Meal Fairies program by volunteering to cook a meal at Ronald McDonald House of Richmond or at Ronald McDonald House of Charlottesville. This is a great opportunity for corporate groups, civic clubs, scouting troops, or a group of friends just interested in donating to a good cause. What you do: Sign up for a meal at either Ronald McDonald House location. Available times may vary so check the schedule by clicking the “sign up” button below. 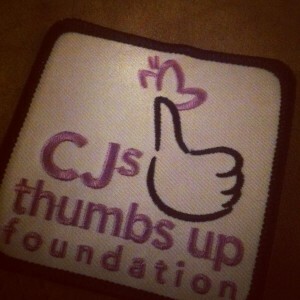 CJSTUF can provide the ingredients or your group can create a menu all your own. Using RMH’s full kitchen, you can cook the meal for the guests. The meal should feed about 20 people. If you’d like to facilitate an activity, wonderful! Just let us know what you want to do and we’ll clear it with RMH. What kinds of meals are best? Healthy! The meal should be balanced with a protein, veggies, fruit, salad, and dessert. One menu that has consistently received praise from residents is black beans, rice, chicken, salad, green beans, apples/bananas, and assorted cookies. Offering a vegetarian option is appreciated so keeping the meat separate is suggested. Will we get to interact with some of the families staying at RMH? Many of the families at RMH are receiving treatment at VCU Hospital and schedules are never certain but volunteers are encouraged to politely interact with any guests they meet, keeping in mind that we take the need for confidentiality very seriously. So what are you waiting for? We have dates and times available so sign up to be a Meal Fairy now!